This original, one of a kind, acrylic painting by Joy Parks Coats measures 36 x 24 x 1.8. and is gallery wrapped - no frame required! Shipping is included. For those who, like Joy live on and love our Atlantic coast, a moody atmospheric day is as beautiful as a sparkling sunny one. The iconic pelican stands sentinel waiting for the boat to launch and stir up a meal. 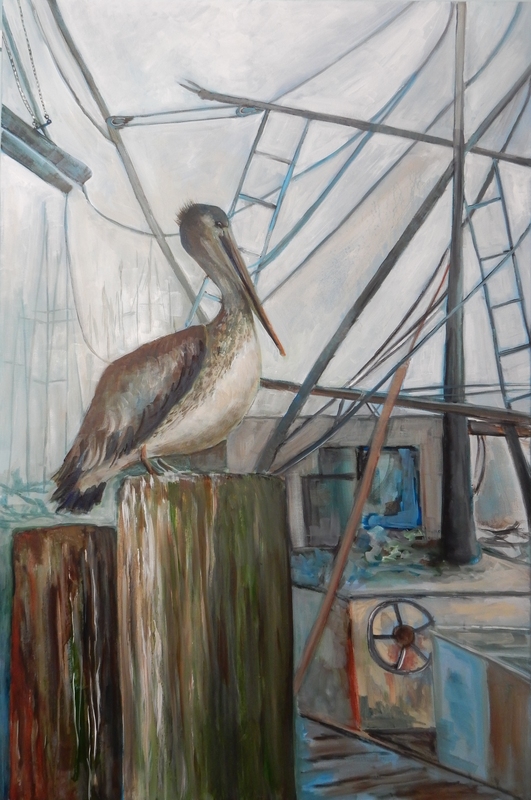 The composition is masterful, taking the viewer from the foreground with Mr. Pelican to deep into the waterway background and beyond.